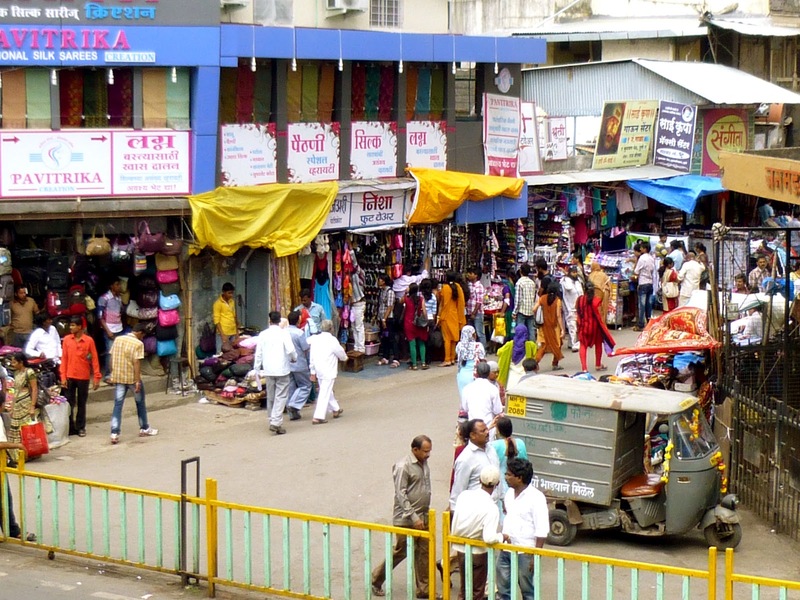 Laxmi Road in Pune is one of the major shopping areas of the city. In order to get the true flavor of the Indian culture, one can simply walk into this bustling street and check out the numerous fashionable and traditional stores. 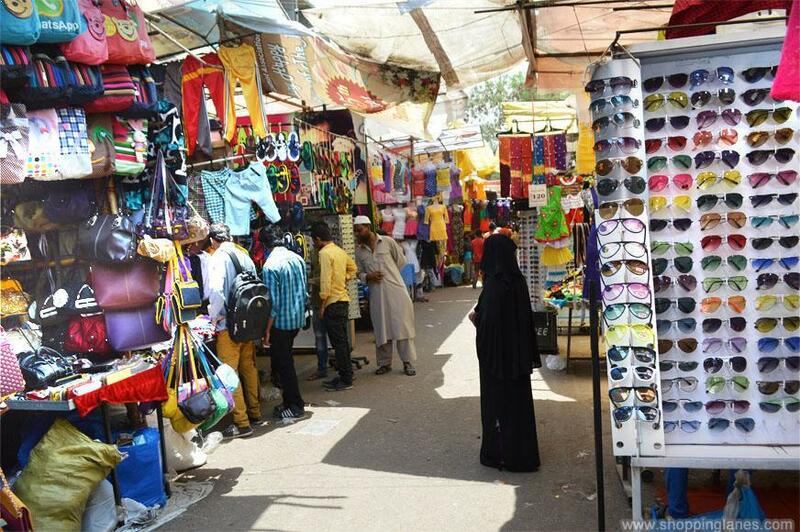 The busiest and longest markets of Pune, Laxmi Road comprises of a number of narrow side streets and by-lanes. The market is famous for clothes as well as jewelry shops. The road is the venue for Laxmi puja during the festival of Diwali. Laxmi Road is a favorite shopping destination in Pune offering a variety of choices. Famous publishing houses like Nirali and Manali Prakashan are located in this road. This place is favourite for evening hangouts. Mahatma Gandhi Road, popularly known as Camp, serves not only as a shoppers haven but also as a perfect place to window shop! M.G. Road, has shops selling gift items and other such articles. Camp is the area which refers to Central Pune. MG Road is the richest and famous road and popularly known as the M.G. Road. The road has multiple branded shops for selling gift items and other accessories. Many old and well-known shops, restaurants, bakeries and medical or optical practices are based here. MG Road is the best place for evening hangout. Fashion Street in Pune can be compared to the fashion Street in Bombay. It is just fascinating, the variety of stuff you can buy at Fashion Street. Everything that fits the range of a super-super mall can bought. Fashion Street is one of the posh markets of Pune, developed on the lines of Mumbai’s Fashion Street. 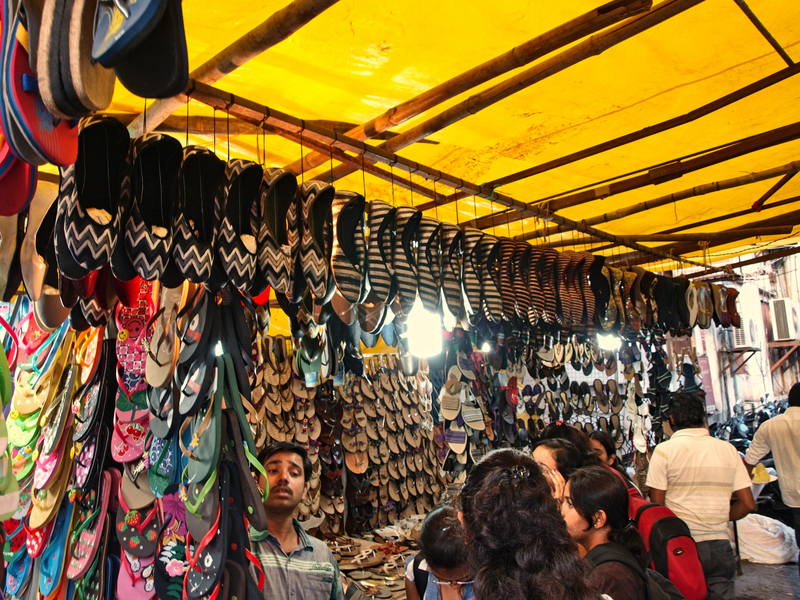 It has as many as 450 stalls and serves a multitude of shopping needs, right from clothes to footwear. Those interested in buying fashionable goods can check out the stores in Fashion Street in Pune. Tulsi baug or the Basil garden was created sometime during the time of Peshwa Balaji Vishwanath (early 18th century). Today it is one of the most crowded commercial areas in old Pune.Tulsi Baug is famous shopping area for copper and brass idols, besides several household utility items. Amidst the cluster of these shops lies the Ram mandir. Tulsi Baug is a well known for showrooms that sell mainly women’s items. Along with that, you can also buy gift items, household items, metal ware, etc. 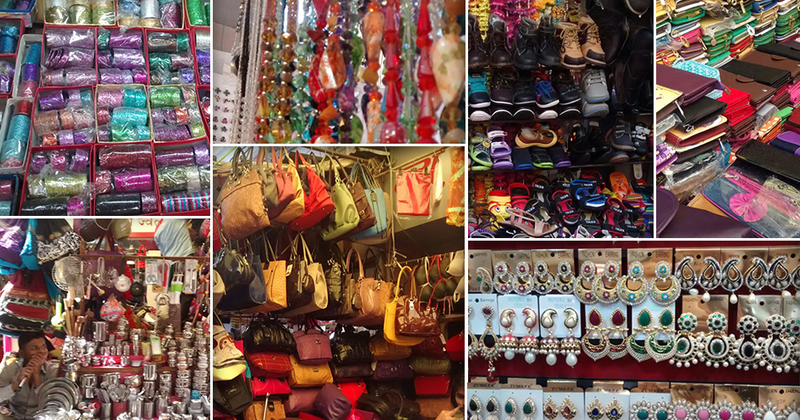 Tulsi Baug has been famed as woman’s grant shopping mall, where ladies can get all kinds of gift articles, cosmetics, vessels, artificial gold jewelries and other fashion and trendy items. This is a good shopping place. Tulsi Baug is best known for its low price market and can be affordable by middle class family easily. Traditional Maharashtrian wares and cookery items, cosmetics, jewelry and all types of household item can be shopped in this market. One area of the market is dedicated to fresh vegetables, fruits and other items including items for Pooja. Find a treasure trove in the aptly-named Juna Bazaar or Old Market. Antique coins are casually sold along with mundane accessories like necklaces, screw drivers and door hinges. Many Puneites are unaware that antiques are sold here for a pittance, but visiting foreigners and amateur coin collectors are familiar with this street. You can find anything here, from worn out trousers, old silk saris and even second hand music! Juna Bazaar is located on a part of the Vir Santaji Ghorpade Path, near Maldhaka Chowk. The market is the oldest street market of the city and is the main source of antique, used, second hand, duplicate products with the new items. If you are looking for a place in Pune from where you can buy fresh fruits and vegetables, then you should go to the Phule Market. Phule Market offers the best quality fruit and vegetables and is one of the most important markets of the city. Phule Market is primarily a vegetable market. 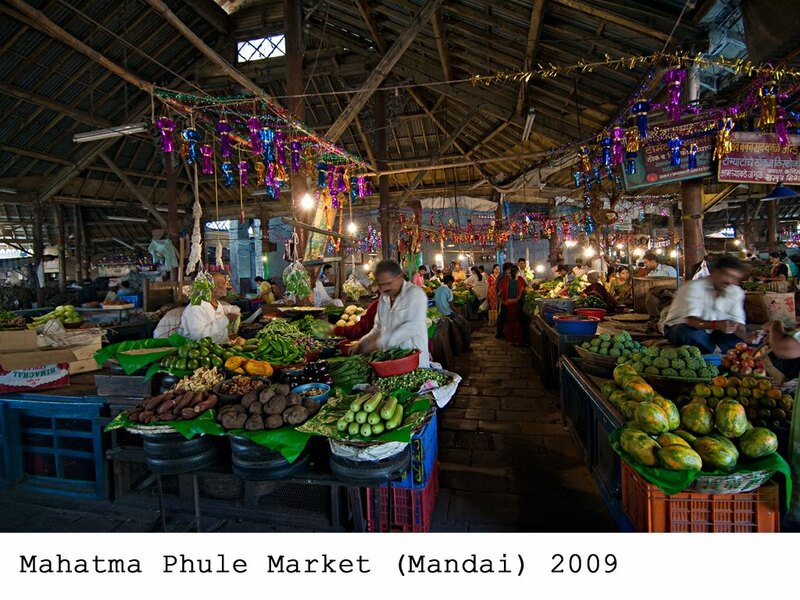 Phule market in Pune is also known as the Mahatma Phule Mandai. Mandai in English means market. It is one of the most famous daily markets of the city. 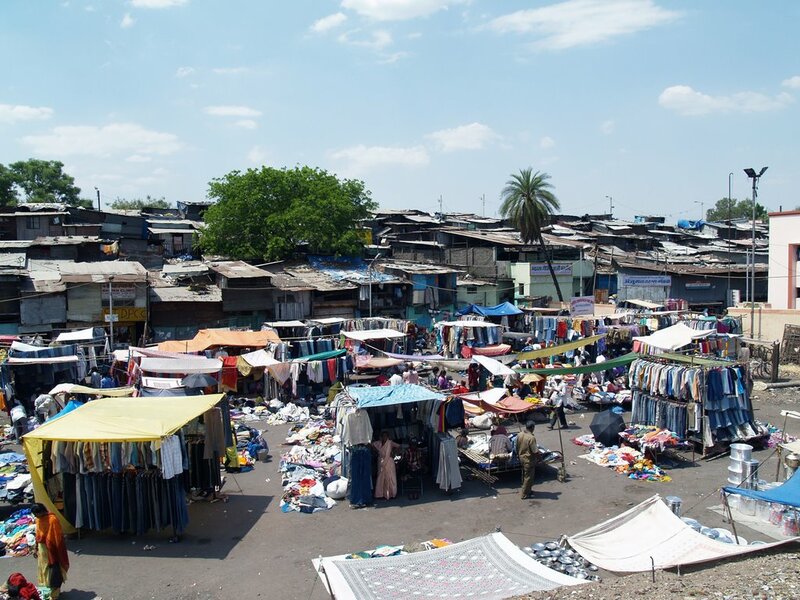 It is an open-air market from where the people of Pune buy their daily requirements. It is one of the most ancient markets of the city that was built during the British era. 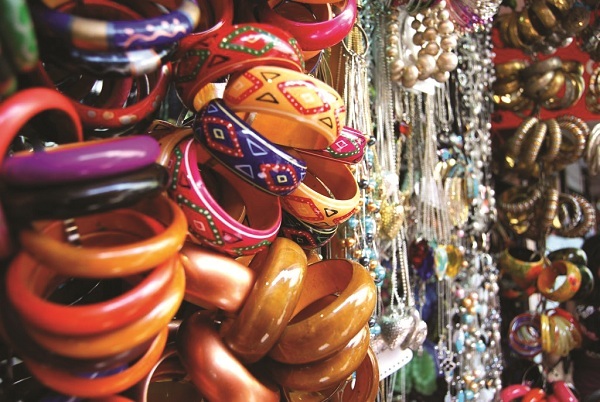 Phule Market in Pune houses a total of 526 stalls. Bajirao Road is an important street in Pune which stretches from Puram Chowk to Shaniwarwada palace. This is the most important road due to its location in main market area of Pune. Bajirao Road is the furniture market of Pune. Apart from furniture stores, it also has garments shops and shops selling presentation articles. This road is famous for buying household furniture, domestic furniture and kitchen furniture, modular kitchens, custom made furniture, furniture. Bajirao Road also offers excellent opportunities for shopping. The Hongkong Market lane is a must visit place of Pune which is located in Deccan near the Garware Bridge. The lane offers a unique collection of bags, clothes, accessories, books and footwear. Famed for selling “foreign goodies” this lane is said to have been christened by customers themselves. Here’s what all you can get here. Junk jewelry : The men’s collection includes beaded bracelets, cross lockets and tattoo stickers, interesting watches with leather belts, huge dials, sport watches and some with even bronze ornate work. Caps, belts and other accessories: A collection of Nike, Reebok, and Diesel caps in all colors and shapes. We remember the time when Maine Pyar Kiya friendship caps became a rage here. Also you can shop for book stores, mobiles and accessories, cosmetics, cassettes and CDs, bags, frames and paintings. FC Road is one of the most sought after destinations in Pune city. It is located in the inner west side of Pune. FC road is very popular among the youngsters as it is considered as one of the favorite hanging spot. High frequency of people throng FC road also makes it prime for having commercial establishments like shops, showrooms, hotels, restaurants, offices on this road. Chains like Barista, Cafe Coffee Day, Subway and Monginis have outlets here. Fergusson College Road is the place to go if you’re looking for a bargain. The streets are lined with shops selling clothes at ridiculously low prices. And it is the best place if you’re looking to buy a book for cheap. From street vendors to shopping arcades, second – hand and even new books are available at discounted prices everywhere. The street is also famous for its sweet shops. Follow your nose, you won’t miss them. Jangli (also spelled Jangali) Maharaj Road, better known as J.M. Road, is named after Sadguru Jangali Maharaj who’s “Math” or Ashram lies on this road. It is one of the better maintained roads in Pune. 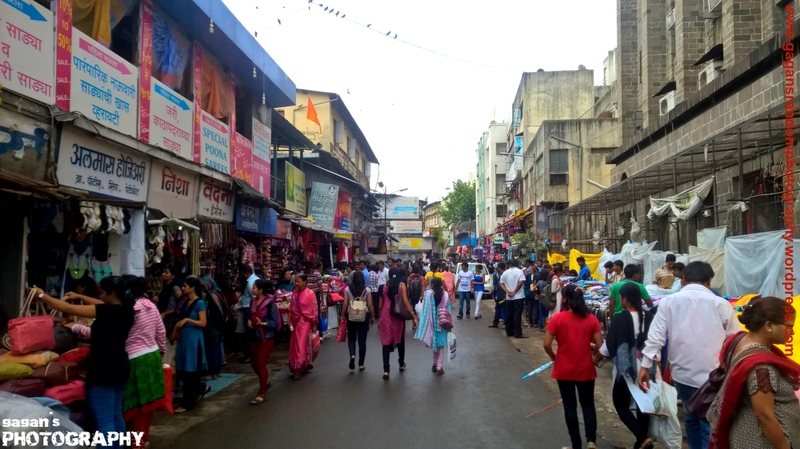 J. M. Road may be thought of as a showcase of Pune’s economic progress with a large number of international consumer brands having their outlets and showrooms on this road. It has one of India’s first Pizza Hut outlets, along with a large number of fast food joints and coffee shops. J. M. Road is now a new destination for Rajdhani Thalis too. A new and unusual food court too has opened up called “Palette , The Food Court”, serving range of cuisines. 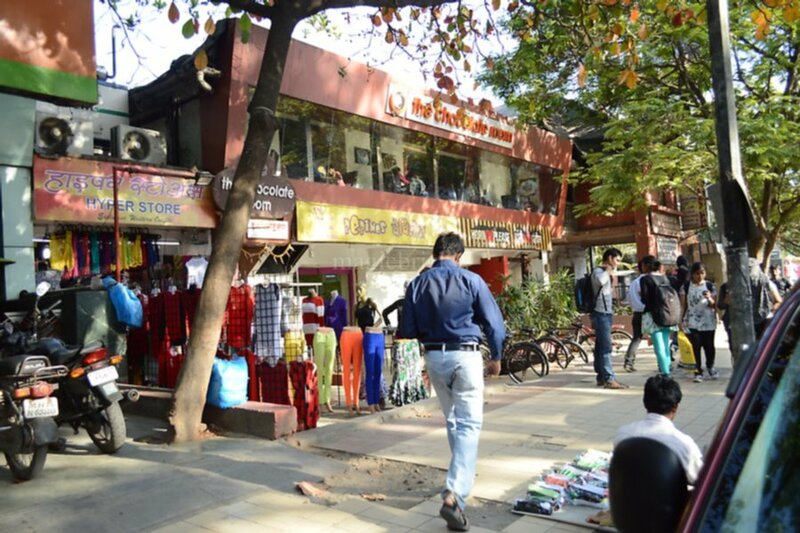 The area is popular amongst students from local colleges for decades.Famous for its many restaurants, J. M. Road is one of the busiest places in Pune.